This past weekend, my phone died. I tried plugging its charger into different sockets, but it wouldn’t turn back on. I know this isn’t a major crisis, but I have come to rely too much on that little device! As I had to take my daughter to a party for her dance academy that day, my husband offered to go to the Verizon store and see about getting a new phone. When I returned from my daughter’s party, my husband had transferred all of my contacts, notes, and apps onto my new phone. He had also gotten my old phone to turn on once again. Though I didn’t have to re-enter contacts or notes that I had already saved, I did notice on my new phone that I had to re-install certain apps again. Because I have been busy these past few days, I haven’t had time to go through and do this, so I’ve been using two phones. I have been using my new phone to call and text and my old phone to get into certain apps that are not yet installed on my new phone. This two phone situation is driving me a little crazy for sure, and I am resolving as soon as possible to consolidate everything on my new phone so I won’t have to be switching back and forth any longer. This idea of not being divided can be applied beyond my phone situation. In fact, in our Christian life, the Bible talks about not being divided in our devotion to God, and for good reason! A divided heart is one that is distracted and unable to focus as well on what it should. Matthew 22:37 tells us, “Love the Lord your God with all your heart and all your soul and with all your mind” (emphasis mine). This word all means our whole self — literally all the parts of us. Similarly, Matthew 6:24 says, “No one can serve two masters. Either you will hate the one and love the other, or you will be devoted to the one and despise the other.” God wants us to love Him more than anything else because loving anything else more than God will get us into trouble in our spiritual walk and lead us down the wrong path. To illustrate this point, we need only look at the story of Balaam in Numbers 22. You may know of his story because it is unquestionably a little odd — as his donkey turns and speaks to him in the course of his story. However, before we ever get to that point of his tale, we see a man who looks good on the outside, but has a heart issue. He has a covetous heart: He desires wealth and prestige and honor, and yet, he is not completely bent on his own sinful desires. He also desires to do what God tells him. He is a prophet of sorts, but the Bible is clear that he is not one of God’s prophets. He does hear from God, but he is a soothsayer or diviner. When we first meet Balaam, Balak, the Moabite king, is concerned about Israel advancing near his land and wants Balaam to pronounce a curse on the Israelites. He sends messengers to Balaam with his request and money for Balaam’s services. Balaam invites the messengers to stay the night. Over the course of the night, Balaam asks God what he should do and receives this reply from the Lord: “Do not go with them. You must not put a curse on those people, because they are blessed” (Numbers 22:12). In the morning, Balaam conveys the words of the Lord to the messengers, saying: “Go back to your own country, for the Lord has refused to let me go with you” (Numbers 22:13). By his actions, Balaam looks like is being obedient, but we notice in his reply to the messengers that he doesn’t entirely close the door on the king’s offer. Rather than say “I can’t do as you ask because God will not permit me to do so,” he says instead, “The Lord has refused to let me go with you” (emphasis mine). He sounds a little reluctant in his message. Rather than firmly close the door on the offer of the king, he leaves a little room for a better offer. I love what the S.S. Chronicle from The Biblical Illustrator notes here: “There are many people who say, ‘No,’ but so faintly that there seems a ‘Yes’ in it, so that it only invites further persuasion. Many a man, tempted by appetite within, and by companions without says ‘No’ feebly and faintly. His ‘No’ has a ‘Yes’ in it.” Might we say that Balaam’s “No” leaves room for a “Yes”? I think so. When the messengers return and tell the king Balaam’s reply, Balak isn’t thwarted. Being a pretty shrewd guy, Balak assesses correctly what may change Balaam’s mind and sends back new more honorable messengers and promise of a greater reward. When the second group of messengers shows up with the same request, Balaam doesn’t turn them away. Even though Balaam already knows God’s stance on the issue, he invites the second group of messengers in and prays a second time asking to find out more from the Lord. Again, on the outside his actions look pious enough. He is praying, after all, and hasn’t disobeyed God directly, but by inviting the men in a second time, he cracks the door open to sin just a little further. He has no need to ask a second time as God has already given him an answer, and yet, Balaam prays because he is hoping to receive a different response from God. He wants the honor of association with the princes, the reward that will be offered, and the favor of the king. Did God change His mind? Why did God first say he could not curse the nation, but then permit him to go with the men who were leading him back to the king intent on such an errand? Did God contradict Himself here? Scholars provide different arguments on this issue. Some say that God granted Balaam permission to go with the men as long as he did not speak a curse. Some say that God gave Balaam over to his sin because he was determined to go in that way. Others says that what Balaam thought was the voice of God granting him permission was really the voice of his own desire telling him what he wanted to hear. In studying this passage, I find value in all of these interpretations, but one that resonates with me and helps to explain God’s actions is that Balaam may not have even heard clearly from God and heard the voice of his own desires telling him to go. Such a reading helps us understand why God would “permit” Balaam to go, but then get angry with him for going and send an angel to block his path. Certainly, Balaam is met with one difficulty after another on his journey because of God’s anger and the opposing angel: His donkey sees the angel before Balaam does and turns aside to a field, crushes Balaam’s foot against a wall, lays down under Balaam, and talks back to Balaam (Numbers 22:23-31). When Balaam does see the opposing angel, he repents but again seems to hear that he can go, so he just keeps on going. None of the strange events on his trip deter him from moving forward. When we observe Balaam’s actions and what happens to him, the passage appears confusing and contradictory. However, the contradiction exists in Balaam, not in God. If we think about it, Balaam’s actions perfectly depict what happens when we wish to obey God but have another desire that we also wish to see come to fruition that is greater than our desire to obey. James 1:8 tells us that a double-minded person is unstable in all they do. When we look at what it means to be double-minded, the word used in the Greek is “dipsuchos” and means one who has two souls: one directed towards God and the other directed towards the world. True, later in Numbers 22:38, when Balaam finally reaches the king, Balaam does say that he can only speak the words of God and holds to that in the presence of Balak, speaking blessings over the nation of Israel rather than curses. But unfortunately, just a few passages later, Balaam, so intent on only speaking the word of the Lord in these earlier passages and refusing to curse the nation, advises the king to seduce Israel to worship other gods and commit sexual immorality (Numbers 31:16; Revelation 2:14). It is puzzling that Balaam would not curse Israel at Balak’s request but then go back to him and advise him on another way to destroy the nation God had said he must not be curse. Why would he not just stay away from Israel altogether? Bob Deffinbaugh offers the insight that Balaam hatched the perfect plan to please the king so he could get the wealth and honor he was after — without directly disobeying God. He knew that the Israelites were bound by a covenant with God, and sexual and spiritual adultery would be an indirect way to bring God’s curse upon Israel. So, essentially his counsel to Balak was, “If you can’t beat ‘em, join ‘em.” And 24,000 Israelites were killed because of Balaam’s counsel! At some point in his return home from blessing Israel, Balaam allows his covetous heart to win the fight. Whereas in the first part of story we see a man struggling with his competing desires, he eventually allows his own desire to overwhelm the voice of God and suffers a complete collapse of morality. Elsewhere in Scripture, Balaam is described as the epitome of evil, and we are warned not to go the way of Balaam (Deuteronomy 23:4,5; Joshua 13:22; 2 Peter 2:15). It is the old story of humanity — dallying with temptation in the field of the imagination, bribing conscience with fair promises, yet all the while moving up to the forbidden thing … I shall never become a drunkard, but I will drink in moderation. I shall never permit myself to be called a selfish man, but I will take good care of myself in this rough world. I shall never become dishonest, but I will keep a keen eye for good chances. Thus it is that men are passing to ruin over a path paved with double purposes. In other words, Munger makes the point that many of us attempt to play with temptation and get near to that that which is forbidden without actually being overcome by it, but that is a game that we will inevitably lose. If God has told us no, we need to abide by what He has said and stay far away from whatever He has prohibited. As I have heard it said before, we can’t expect to play with sin and treat it like a pet, when it is a wild animal that will devour us. Balaam had many chances to shut the door on this temptation, but instead, entertained it until it eventually consumed him. His story admonishes us not to follow his path and let our hearts lead us away from what God tells us to do. Friends, this story was deeply convicting for me because I struggle with inconsistency in my spiritual walk. In one instance, I am a bold witness and in another, I shrink back in fear. I want to do the will of God, but I have other desires that compete with His will — and sometimes they win. However, though we might feel despair when we read Balaam’s story, the truth is that we all are double-minded at times. We all struggle with sin and our own fickle hearts. This story is meant to instruct us and make us aware of the reasons for our own inconsistency in doing the will of God, but is not meant to condemn us. Proverbs 24:16 tells us that a righteous man falls seven times but gets back up. As believers, we are made perfect through Jesus’ blood on the cross, and when we come face-to-face with our own failures, we can repent and ask for God’s help. We don’t have to beat ourselves up for chasing after the wrong things. We trust God’s promises and understand that it is through Jesus that we have forgiveness of our sin and the power to walk away from the temptations that ensnare us and lead us from the path God has for us. We confess to God and ask for His help. While we may feel guilt and shame that we have wandered again or chased after something harder than we’ve been chasing after God, we lay bare our hearts before Him (knowing He knows everything about us before we say a word) and we tell Him that we want to be devoted only to Him. We accept His mercy and leave our guilt and shame for our failings at the altar. If we cannot see it on our own, we ask Him to help us see if there if an overriding desire/idol in our lives driving our decision-making. 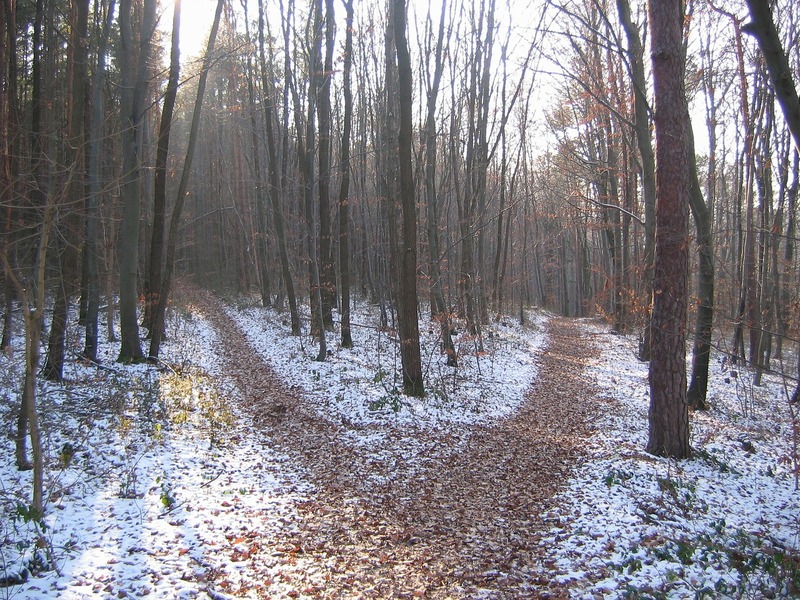 What desire of ours is seeking to lead us down the wrong path? What do we want so much that we are sacrificing our effectiveness as a Christian and obedience to God to have it? Once we have identified what desire is attempting to derail us, we can evaluate our actions that were perhaps made because of this desire. Are there ways that we have compromised? Are there actions we need to go back to made in following our desire rather than God that we need to go back to and make right? How about you? How has Balaam’s story impacted you? Are there ways you would like to be more consistent in your Christian walk? Share with us in the comments. Click on the podcast link above to hear my own personal story related to double-mindedness. Want to hear more articles in podcast form? Visit our podcast archive to listen to past episodes.